A familiar face is coming to Dynasty. 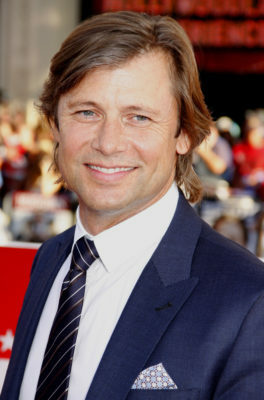 Deadline reports Melrose Place star Grant Show has joined the upcoming CW reboot pilot. Based on Aaron Spelling’s 1980s soap, the revival “follows two of America’s wealthiest families, the Carringtons and the Colbys, as they feud for control over their fortune and their children.” Spelling also executive produced Melrose Place. On Dynasty, Show will play Blake Carrington, the character played by John Forsythe in the original series. Show joins fellow castmembers Elizabeth Gillies, Nathalie Kelley, Robert Christopher Riley, and Sam Adegoke. The CW‘s Dynasty reboot comes from Gossip Girl creators Josh Schwartz and Stephanie Savage. What do you think? Are you a fan of Melrose Place and/or the original Dynasty? Would you watch the CW reboot? Where is Joan Collins? Must have her in it, some way somehow..